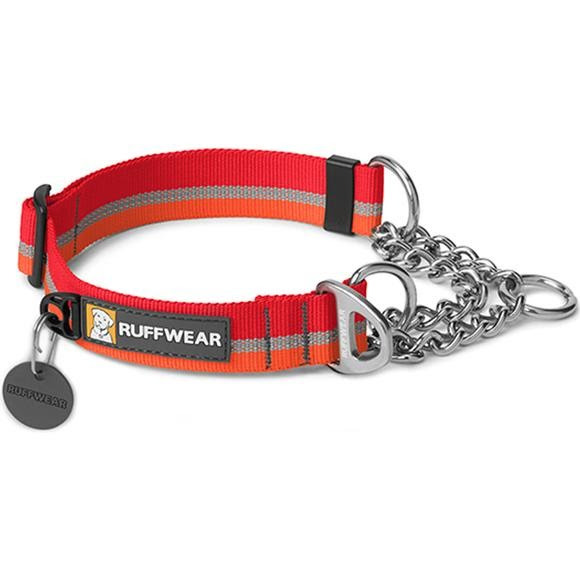 Packed full of Ruffwear&apos;s essential collar features: separate ID tag attachment point with tag silencer, strong and comfortable webbing, and aluminum V-ring. Integrated reflectivity keeps dogs visible in low-light conditions. Measurements Small 11-14", Medium 14-20", Large 20-26"